When working with personalized learning tools, teachers might be wondering: how do I know where each student is at and what can I do to confirm that they are mastering the concepts? We're excited to share this story and idea from experienced classroom teacher Kali Kopka. When we share and implement great ideas, the work teachers do impacts not only their 30 students, but potentially many more students around the country. This blog was originally published on Elementary Geek and is reposted here with permission. I’ve talked about using Seesaw in my classroom quite a bit in the past on Elementary Geek. This time, I’ve started using Seesaw for accountability and quick formative assessments during our computer lab times. 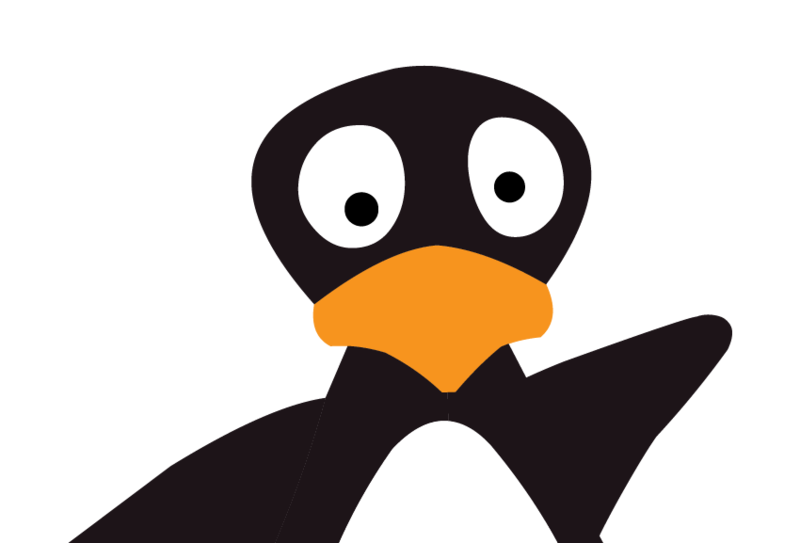 Twice a week, my class visits the computer lab to solve math puzzles with their favorite penguin, JiJi. “Who’s JiJi?” you may be asking. JiJi is the adorable main character of ST Math, a rigorous, standards-based, and highly-addictive math game for students preK-6. 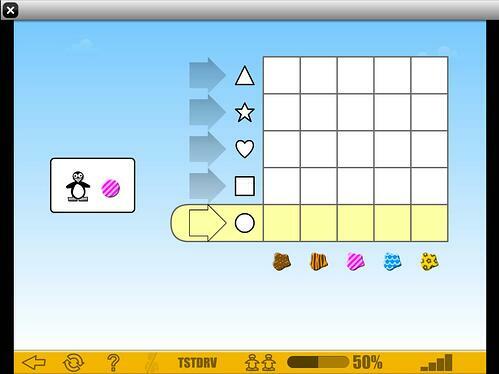 A puzzle from the visual math program ST Math. ST Math time is something my class looks forward to each week. 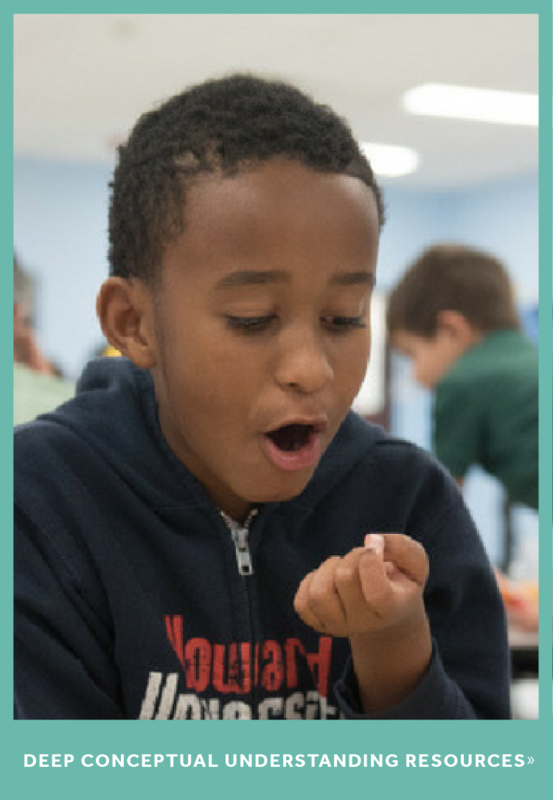 It teaches complex math concepts using both visual and symbolic representations of the math. Honestly, the whole program is absolutely fantastic. Still, I didn’t want these computer lab times to be so isolated from my regular math instruction. 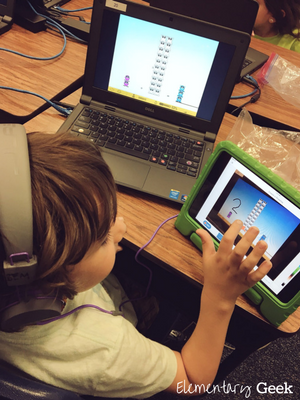 I wanted to find a way to connect that fun, exciting learning with JiJi back to what we’re doing in the classroom. One of the greatest things about ed tech is its ability to make students’ thinking visible. After a suggestion from one of our district ST Math reps, I decided to bring Seesaw into the computer lab with me. Once a week, during lab times, I have students take a picture of the ST Math level on their screen. (Screenshots would work too if they were playing on an iPad). Then, they use the draw and voice record features to explain the math behind the puzzle they’re working on. This could mean labeling quantities with numerals, labeling different parts of a puzzle, or simply explaining their strategy for solving. Below, one of my kindergartners explains how he found the missing part in the equation. (The little orange blob under the one shows what his answer will be.) He used the draw feature to label, and then recorded himself explaining his solution. From this little 11-second recording, I can already tell that he knows how to solve, but may need a little help in actually naming/explaining his strategy. But for a 6 year old, I’d say he did pretty well. I love using student recordings to facilitate class discussions later on. I might have one student become the “expert” on a really tricky level share their video with students who are struggling. Recordings could also be a great resource for parents who want to help their child at home, but have no idea what the level is about (You laugh, but we get lots of parent questions about the puzzles!). And on top of all that, these are also a great formative assessment piece for me to see if students are actually understanding the math they are doing, rather than just guessing correctly. Seesaw provides so many great opportunities for reflection in my classroom, and this activity is no different. It’s definitely been a game-changer for my computer lab times and I hope it will be for you too. 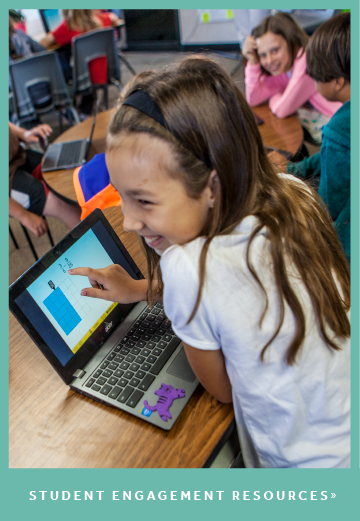 Kali is a tech-savvy elementary teacher whose passion for all things STEM fuels her innovation in the classroom and inspires other teachers to begin their own edtech adventures. Seesaw is not associated with ST Math or MIND Research Institute.